From PBS to Comedy Central, whenever Bill Barker takes the stage the crowd is justifiably astonished at his resemblance to Thomas Jefferson. On Thursday, October 11, 2018, at 6:30 p.m., Barker will don his nattiest 19th-century attire and bring the nation’s third president to life in the Webb Barn at Webb-Deane-Stevens Museum (WDS). The free event, “A Conversation with Mr. Jefferson,” will be preceded by a wine reception, by donation, at 6 p.m.
“Mr. 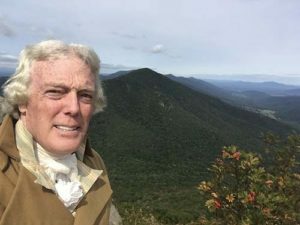 Jefferson” will open with comments about the founding principles of the nation and offer his reflections on the history of his drafting of the Declaration of American Independence, followed by Q & A session. 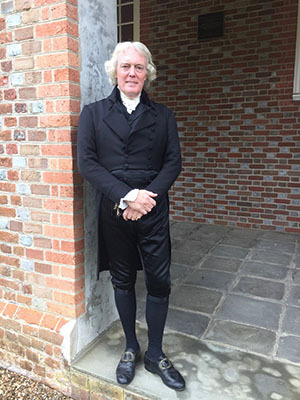 Barker has spent 38 years fine-tuning his role, having taken on the persona in 1980 at Independence Hall. His artistry combines theatre with historical scholarship, and a knack for relating Jefferson’s life and times to the present. With the same height, weight and general appearance as Jefferson, Barker has stood as a model for two statues of Jefferson-one for the Jefferson Library at West Point, and the other sculpted in the visitors’ entrance hall of the Virginia State Capitol, in Richmond. He also portrays the Jefferson image in the visitors’ center videos at the Jefferson Memorial in Washington, D.C., Monticello, and the Virginia State Capitol. 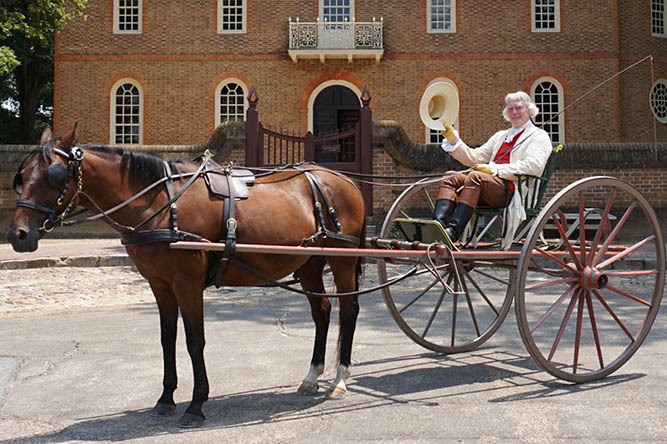 Barker has performed as Jefferson at Colonial Williamsburg since 1993. He has also performed at Monticello, Poplar Forest, The White House, U. S. Capitol, National Archives, F. B. I. Headquarters, NASA Headquarters, U. S. Military Academy at West Point, U. S. Naval Academy at Annapolis, and in nearly all states in the nation. He has also appeared at the Palace of Versailles, the U.S. Ambassador’s Residence and the Museé de Legion L’honour in Paris, and many other locations throughout France, Great Britain and Italy. Born and raised in Philadelphia, Barker graduated from The William Penn Charter School and received a B.A. in history from Villanova University. Attracted to the stage at an early age, he became a professional actor, theatre director and producer. For 11 years he was the artistic director of the Savoy Opera Company of Philadelphia, the world’s oldest continually producing Gilbert and Sullivan troupe.